This newsletter will not display properly on mobile devices. Topics in this issue include new product introductions, software updates and EOL information. On the right, you can see all topics in this issue. 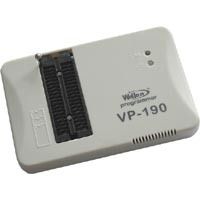 The 40-pin VP-190 programmer is a very good low cost USB programmer for memory and some microcontrollers. 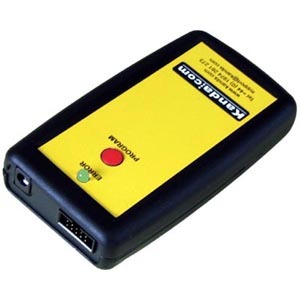 It has now been replaced by the VP-290 that uses USB v2.0, so it is faster. 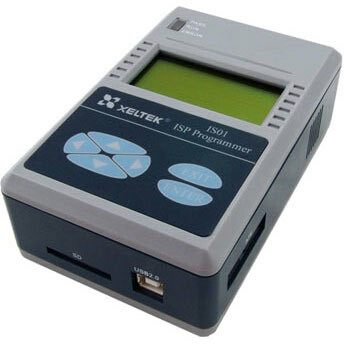 We are clearing stock of this programmer, so grab a bargin now. 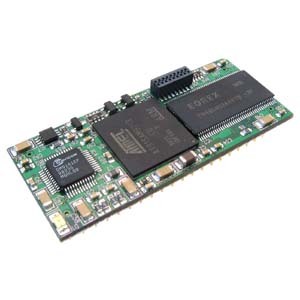 The new DNP-9265 Module is the best value yet, to easily add web interfaces to your products. As well as web server, Telnet and FTP support, it has a USB host, CAN interface, 3 serial ports plus lots of memory and other interfaces. All in a 40-pin DIL package. It runs Linux OS and the starter kit allows you to customise it using C/C++ development suite. The starter kit also has a full development board, cabling and power supply. Or if you don't fancy that, we offer a design service to customise the modules to your requirements. Email support@kanda.com or fill in our custom enquiry form. You receive this e-mail as registered client or sales prospect of Kanda.com. Kanda.com provides you regularly with information about actual offers and technical support. Use of this newsletter is subject to the terms and conditions of Kanda.com. © 2010 Kanda.com. All rights reserved.